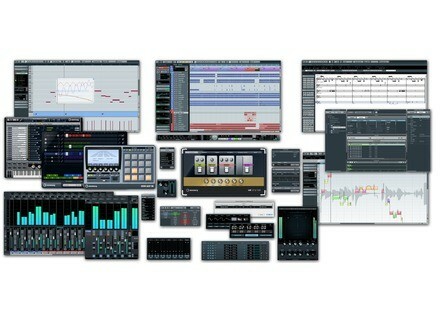 Cubase 6, General Sequencer from Steinberg in the Cubase series. Steinberg has released the 6.0.3 maintenance update to its music recording and production systems Cubase 6, Cubase Artist 6 and Cubase Elements 6. Based on community feedback, the 6.0.3 update provides several improvements, such as refined event opacity handling, enhanced gridline representation, Euphonix/Avid MC Pro remote control support and more efficient playback performance of HD video formats. In addition, several issues have been resolved. Folder track: When expanding a folder track, the track list now doesn't scroll to keep the focus on the track folder. AudioWarp: When playing back warped material in a loop for an extended time, the audio quality remains intact (PC Windows only). AudioWarp: A warped audio event now stays in sync, also when placed in a part with multiple splits and the project includes tempo changes. AudioWarp: A potential AudioWarp issue with shifted audio events, when changing the tempo in the Sample Editor toolbar, has been resolved. VariAudio: After flattening VariAudio modifications, the solo state in the Sample Editor behaves correctly. VariAudio: Under specific circumstances, the VariAudio analysis could render the application unresponsive. Key Commands: Applying user-created key command presets doesn't open the Preset Browser anymore. Macro: Deleting a macro will not lead to rendering the application unreliable. Quantize: Some quantizing errata for Audio Events is corrected. Quantize: Iterative quantizing for audio events behaves correctly and approximates the chosen quantize preset and grid value. VST Expression: Chasing MIDI CCs for VST Dynamics works correctly now. VST Expression: if a project used Note Expression data, the Tempo Detection doesn't lead to potential instability of the application. Freeze: Opening a project with frozen channels now allows proper editing of plug-ins loaded in Insert slots 7 & 8. Input Transformer: The "Off Velocity" parameter has been added to the Input Transformer. Metronome: Distortion at certain sample rates when using user-samples for the Metronome has been eliminated. ReWire: Improved playback/transport synchronicity using Reason, respectively for ReWire connected applications. Plug-in: Producing additional ASIO load when enabling the improved silence detection in the MonoDelay plug-in has been resolved. Plug-in: The LFO waveform state is now displayed correctly in the AutoPan plug-in. Plug-in: An issue has been resolved, where Spector doesn't display the current spectrum correctly. Score: Erratic track arming issue resolved in conjunction with open Score Editor and changing layouts. Score: Under certain conditions Crescendi symbols on page 1 could appear on the following Score pages. This issue has been resolved. Score: The Zoom Tool in the Score Editor behaves correctly now. Score: An issue has been resolved, where the Delete Overlaps function deleted preceding events under certain conditions. Score: Bottom staffs are no longer selected when scrolling pages. Score: Potential issues with MusicXML files exported from Finale and imported to Cubase have been resolved. New Neyrinck Plug-Ins for ProTools Neyrinck announced that the SoundCode Exchange MXF and SoundCode Exchange MXF Import plug-ins for Pro Tools are now shipping for Mac and Windows. PreSonus Interfaces Add Lion Compatibility PreSonus invites Apple Mac users who wish to upgrade to Mac OS X 10.7, better known as Lion, to participate in a public beta-test of its Universal Control 1.5.2 software. Aixcoustic Electri-Q Updated Aixcoustic Creations has updated Electri-Q to version 1.8.8.